Alcooltest DOES NOT CONTAIN CHROMIUM according to EEC/67/548 and EC/1999/45 Directives and to Regulation EU/348/2013. 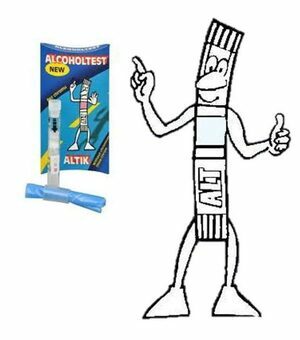 Alcooltest disposable alcohol breath test without chromium dichromate named Tube CH2 or Tube CH3 is accredited and used as a screening test during Institutional Services by Police Commands and Organizations. It comes with the best certifications and authorizations which attest its conformity and its notable metrological/physical/chemical qualities. You Can Customize Your Alcooltest Packaging!